Battle Skies uses an unique combination of stacking tiles and tilt blocks to simulate the 3D aspects of the game. Fly, Fight, Win. Final Sword Productions has plans for expansions for Battle Skies. 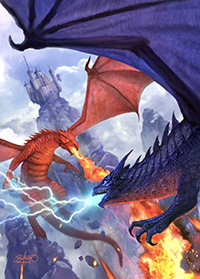 These expansions will introduce new flying creatures, rules, attacks and much more. Battle Skies will be releasing scenarios for the game. These scenarios will be small game ideas that the players must play through and complete. Once a year there will be a limited release of a new creature. These special releases will only be available from Final Sword Productions at conventions. 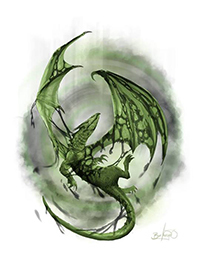 One of four pieces by Alexander Levett for the dragon character sheets that are in the box game. 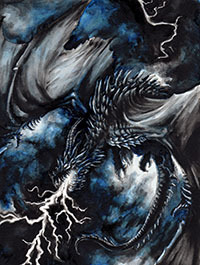 One of two pieces by Brooke Gillette for the dragon character sheets that are in the box game. 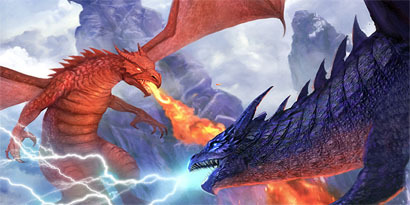 One of two pieces by Alexander Levett for the dragon breath weapons. 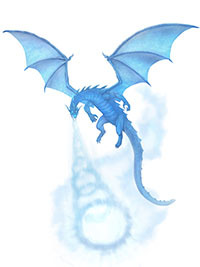 Melanie Doehlert did this piece to show off the lightning breath weapon. Simon Buckroyd did this piece for the frost breath weapon. 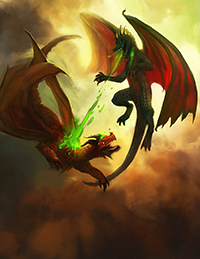 Simon Buckroyd did this piece for the darkness breath weapon. Simon Buckroyd did this piece for the cover of the box game and the rule book. 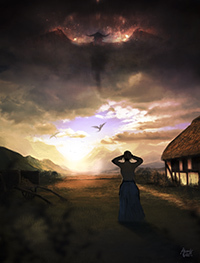 Alexander Levett did this piece for the rule book interior. 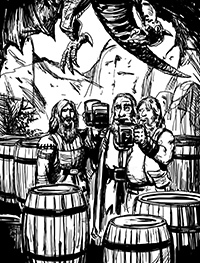 A piece done by Jeff Ward for the story "Don't Eat Drunken Dwarves!" Alexander Levett did this piece that ended up as the cover for the Quick Start rules and also in the interior of the rule book. 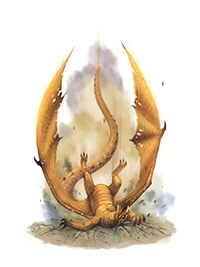 Simon Buckroyd did this piece showing a crashing dragon for the rule book. Lucas Puryear did this hatching dragons.